20 years ago today, Uncle Tupelo finished recording their third album, March 16-20, 1992. Produced by Buck, March was a collection of acoustic country/folk songs (8 originals, 7 covers) that represented a substantial left turn for what was essentially a punk rock band with twangy tendencies. Sure, Jay Farrar and Jeff Tweedy included acoustic songs on No Depression and Still Feel Gone, and peppered their setlists with same, but a full-on folk fest was totally unexpected. In hindsight, Farrar and Tweedy were clearly reacting to the flannel-clad expectations of the era. If the industry was looking for the next Nirvana, then Uncle Tupelo was gonna give it a young Bob Dylan. Which is not only the most punk rock thing you could do, but something Dylan himself has done repeatedly throughout his career. Coincidentally, March 19, 1992, was the 30th anniversary of the release of Dylan’s self-titled debut. I know this because yesterday was the 50th anniversary of said album’s release and even I can do basic math. One of Tweedy’s great early songs, the only thing missing is an extraneous 10 minute Krautrock noise passage and some Radiohead-esque “found sounds.” Kidding. This song is perfect as is and its minimalism is its genius. Sounds like two acoustic guitars (with hammer-ons for all my friends), unofficial fourth Tupelo, Brian Henneman on banjo (panned right), engineer John Keane floats around on pedal steel, and Peter Buck adds unobtrusive feedback. 2:08 and done. Beautiful. 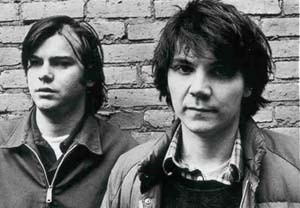 Uncle Tupelo in happier times. L-R: Jay Farrar, Jeff Tweedy & Mike Heidorn. 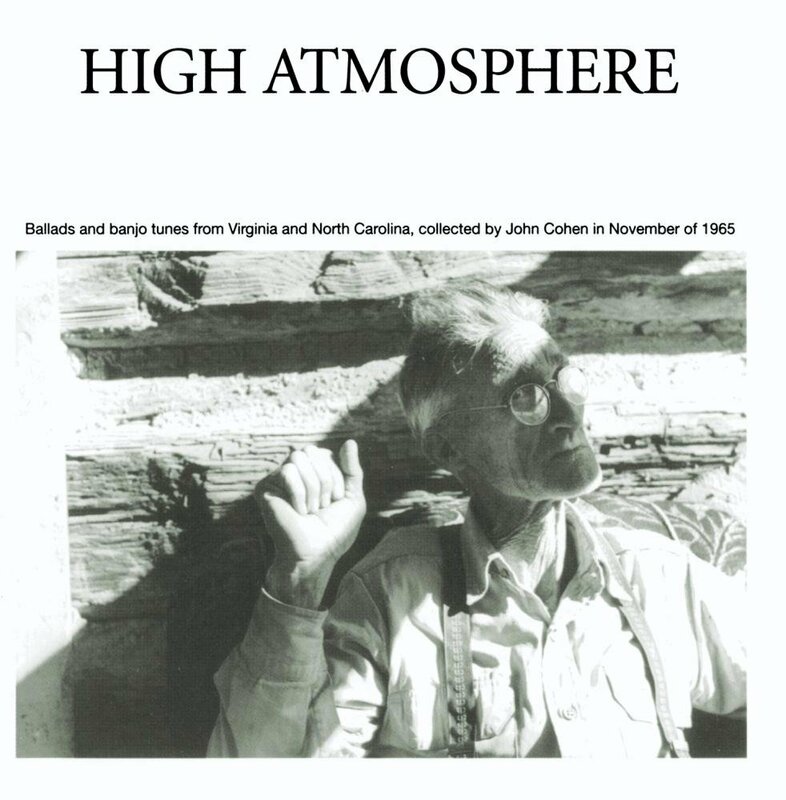 “Coalminers” was a cover of Sarah Ogan Gunning‘s “Come All Ye Coalminers,” first recorded by Alan Lomax in 1937. Farrar undoubtedly heard this song on the compilation, Oh My Little Darling: Folk Song Types, which contained another song covered for March, “Lilli Schull.” Which brings me to my main point. The nature of his work gave him a minstrel color. * In Sakes’ defense, he goes back to high school with Farrar, so his comment in context can be chalked up to good old fashioned ball-busting. Nothing wrong with that. But, like I said, the sentiment itself was shared well beyond the inner circle. Like “Coalminers,” Tweedy picked up “Satan” from a folk music comp, High Atmosphere: Ballads and Banjo Tunes from Virginia and North Carolina. In fact, Jeff sings 3 songs from this album, including “Warfare” and “I Wish My Baby Was Born.” The High Atmosphere version of “Satan” is performed by Frank Proffitt, accompanied by frailing banjo. However, Uncle Tupelo switches out the banjo for Henneman’s bouzouki, which is pitched between a mandolin and banjo, but adds a distinctive drone. Fun Fact: In Turkish, “bouzouki” means “broken, not functioning, modified.” Which is ironic, because in country music, “banjo” also means “broken, not functioning, modified.” HEYO!!! The final song on March 16-20, 1992 (at least in its original form) is also my favorite. It’s essentially a demo: guitar, harmonica, and Farrar’s voice. That’s it. Totally skeletal. But, what else could it possibly need? The lyrics are moving, even profound, cryptically addressing betrayal, trust, and the thin line between love and hate. Is it anticipating the schism in Uncle Tupelo? Is it already looking ahead to Son Volt and Wilco? With the benefit of hindsight, maybe this is what makes “Wipe The Clock” so effective, not to mention the entirety of the March album. That fear that makes those old folk and country songs resonate never went away. It’s still with us and it was with us in 1992. Every now and then, certain musicians are able to tap into it, like they’re tuning a radio to a very specific, hard to reach frequency. This was the genius of Uncle Tupelo. They were able to harness that fear, that generational insecurity, and translate it into a language that we understood. Lots of musicians have musical talent, but this is beyond that. It’s a gift from the gods, and 20 years later it’s a gift that keeps on giving. Buy March 16-20, 1992 – No seriously, you need to own this album. Just buy it and be glad you did. And get the rest of the UT catalog while you’re at it. Take my word.